The Ignite dining experience in the prize draw for Children’s Hospice Association Scotland (CHAS) was won by Jim Lawrie (centre) from Investors Overseas. 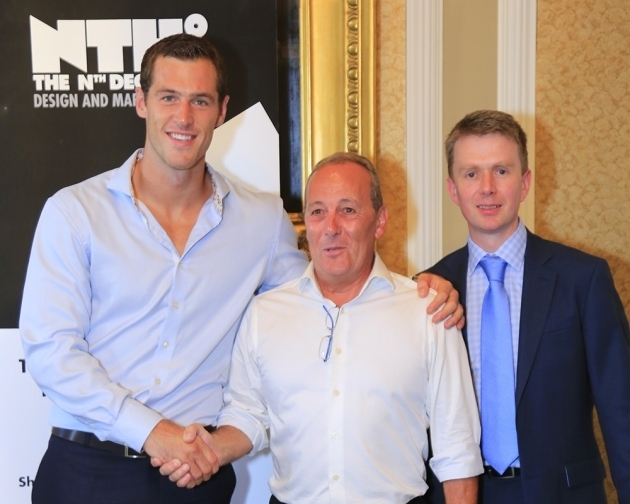 The prize was presented by Tim Visser, the Dutch-born Edinburgh rugby union player and Steven Mitchell from The Nth Degree Design and Marketing, Edinburgh. The Edinburgh-based networking group, 6 Degrees Networking celebrated its fourth anniversary in style with a well-attended soirée at the Royal Society of Edinburgh. Some 60 businesses attended the event, which was sponsored by The Nth Degree Design and Marketing, Edinburgh and included a special presentation by Bjorn Sandberg, communications manager at KILTR, the social media platform that focuses on connecting global Scottish interests. Live entertainment was provided by jazz singer and a WOW A2Z founder Debbie Davis and by keyboard player David Patrick. Among those attending was Tim Visser, the Dutch-born Edinburgh rugby union player, who presented prizes in a draw that raised funds for the Children’s Hospice Association Scotland (CHAS) and who also donated a tailor-made shirt from his new business, Shirt by Hand.